Huawei has started pushing out a new update to its Honor 8 smartphone in the US. The update carries the build designation FRD-L14C567B385 and weighs in at 815MB. As per the change-log, it optimizes system performance and stability. However, user reports suggest the update also brings Android security fixes for April as well as fixes a few bugs, including the microphone is already in use message while using Google Assistant or Camera Voice Recorder. Working great on my H8. 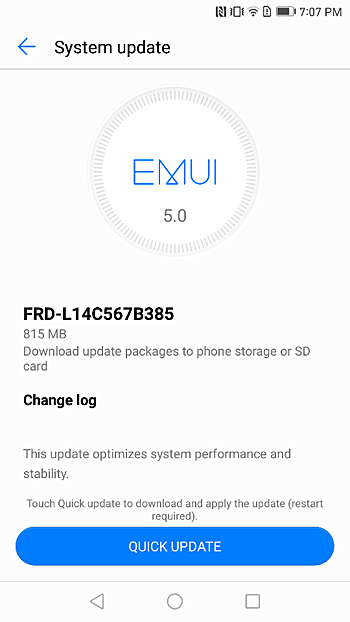 Now to wait for EMUI 5.1. This bug also exists in the P8. Had to turn off "Ok Google" detection as a workaround.